There are over a hundred different hands-on projects offered. Contact your county extension office to learn how you can become a part of 4-H! 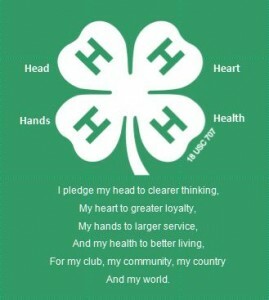 Head, Heart, Hands, and Health are the four H’s in 4-H, and they are the four values members work on through fun and engaging programs. Plates can be made with a custom message for a personal touch! Learn more about the History of 4-H through a Historical Timeline.